Below is the additional 15 stage continuous mode rolling through intro mode including in car view. I’ve shortened each stage to make it a 3 minute video. On 15 Stage continuous mode there is no fork in the road, the stages blend together and the music tracks play back to back. 1. Download the .APK file to your JXD / ANDROID device from the link above. 2. Find the Cannonball.apk file on your JXD using the APKinstaller app that came with the JXD. 3.Select Install using the APKinstaller app. 4.install the file to your device. 6.Select the Cannonball file and select Export to create a Cannonball app Icon on your home screen. 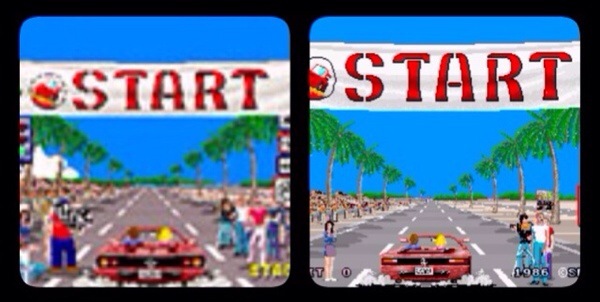 SEGA Japan have just announced a retail release of some of there 3D SEGA Classic range on the 18/12/14. This retail version includes OutRun, Space Harrier, Fantasy Zone, Super Shinobi II, Bare Knuckle and Ecco the Dolphin. 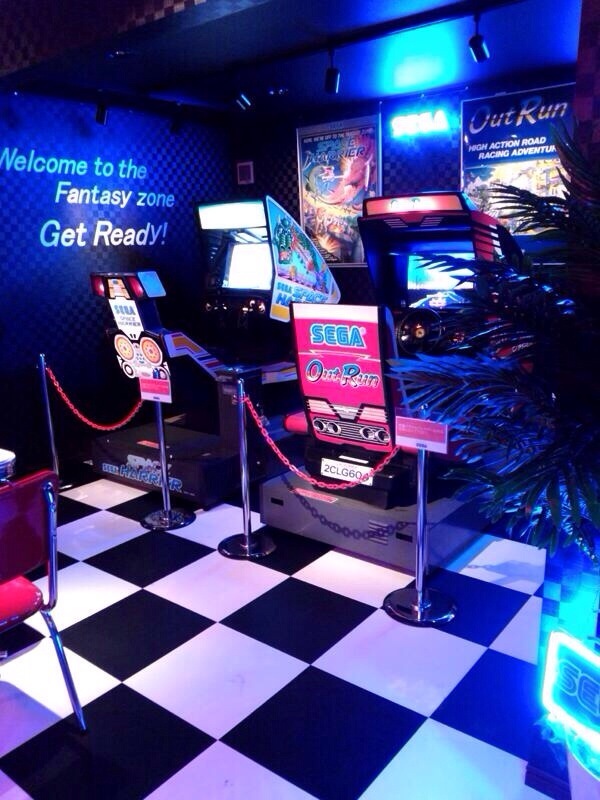 There will also be 2 bonus games including the Master System versions of Space Harrier 3D and OutRun 3D. I think SEGA released this as part of a series of game catalogues for the Mark III. Each one would feature new release games and include the current catalogue of games available. I really love the Japanese artwork on these catalogues. 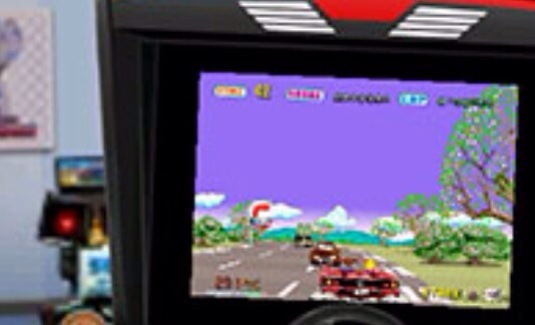 OutRun is on there, can you spot any other great retro games ? If you were like me back when the Japanese Dreamcast was out you picked up the Japanese Shenmue game. I couldn’t read Japanese so you spent a fair amount of time knocking on doors hoping that you’d find the right person to progress the story. As you travelled down the street you came across a building call “You Arcade“. The doors slid open and you could here familiar arcade noises from games like Space Harrier, Hang On and OutRun. 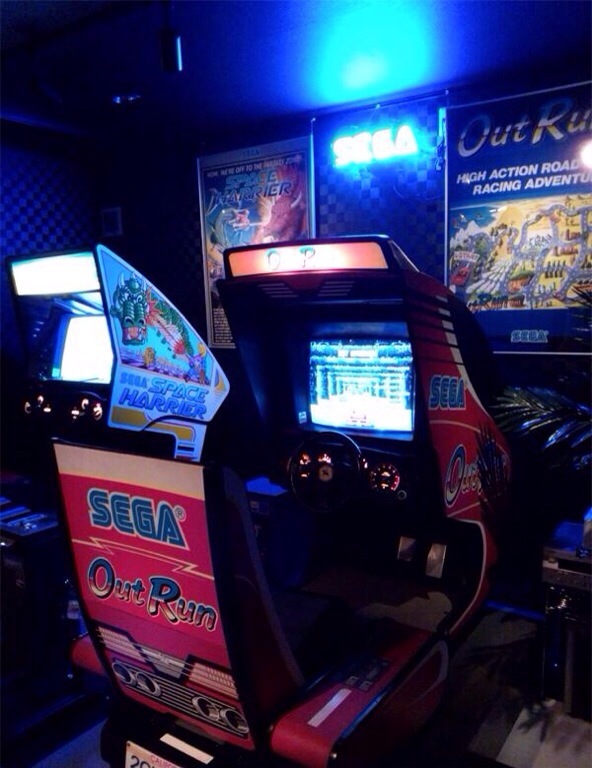 I personally spent a lot of my Shenmue time in the arcade, it was a Yu Suzuki fans dream. As fan of all of these games my ultimate dream would be to one day own these machine in a games room just like the You Arcade. 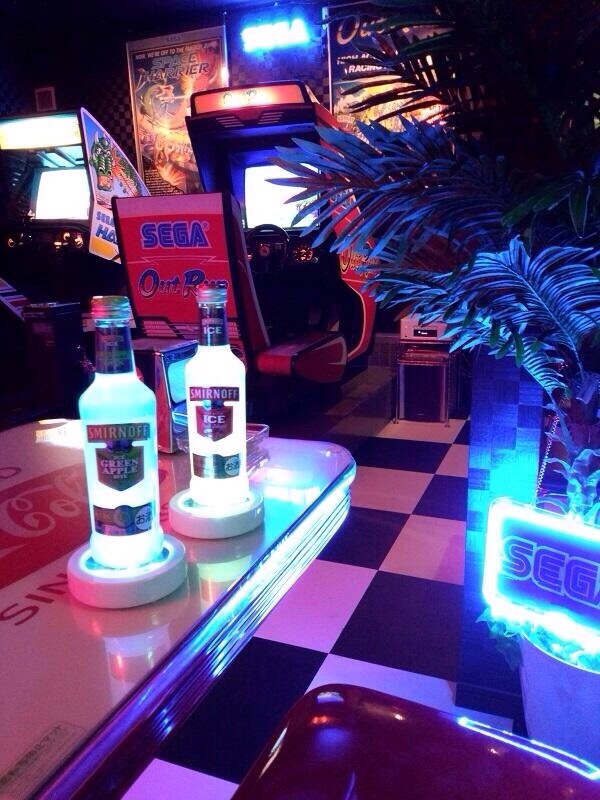 Some wonderful SEGA fans are already turning there dreams into a reality and the results are amazing. 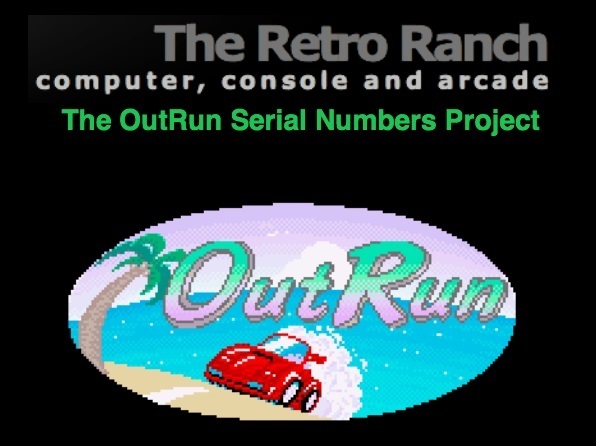 Here’s a one that I’ve come across in recent months …..
Over many, many months he’s been restoring Space Harrier and OutRun and building an awesome surrounding to these games and more. Here some photos of his amazing room. I will post some more next week, in the mean time Follow @SHlove766 on Twitter to see the progress of his arcade. 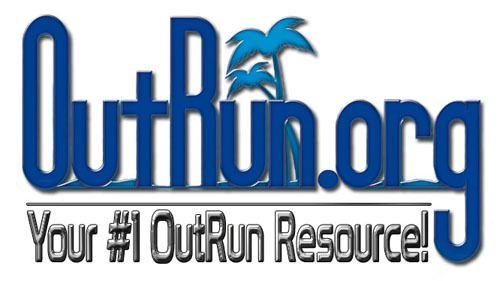 Well OutRun fans, information has now been released regarding M2’s port of OutRun to the Nintendo 3DS. I’ve been checking out the SEGA archives web page daily for the last 3 weeks waiting for an update and finally today it’s here. The thought of driving your Ferrari Testarossa down Coconut Beach in 3D has had me pretty excited now for the last Month or so. Looking at the official page I’m a little disappointed to see the Testarossa gone just like the GameWorks version. If licensing is an issue why change from the Testarossa to another car that looks like a different Ferrari anyway? 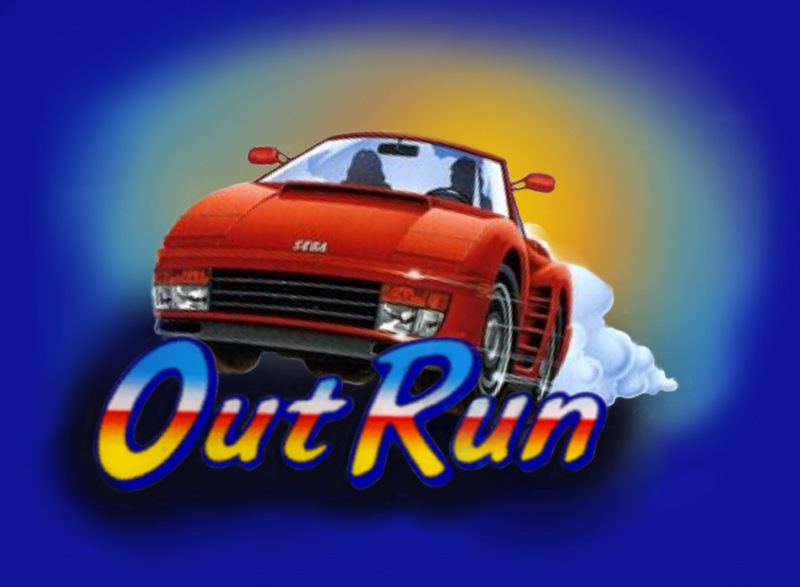 OutRun had a Red car, don’t waste time programming different colour car options, have a hidden feature to include the Testarossa ! 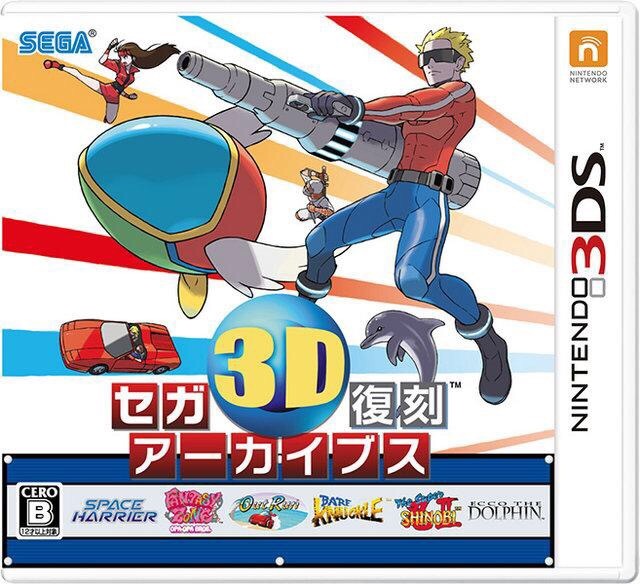 Ok….rant over for now, let’s look at some of the other features that M2 are including as this element of these 3D re-releases had been excellent for Super Hang On, Space harrier and Galaxy Force. It is possible to save the game at any time during play and save one replay to watch over again, it is also possible to appreciate the game in slow replay. There is also a double-speed playback function replay. You can choose to play the five levels of the original version or more. If you select the lowest degree of difficulty, there will be no traffic. 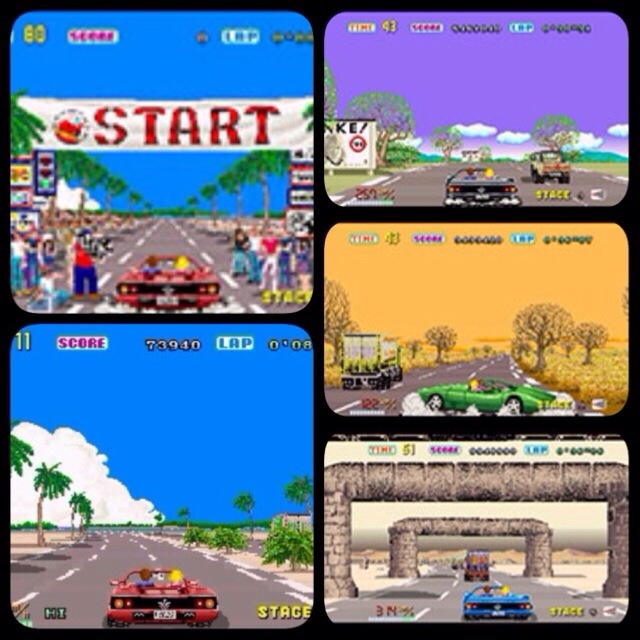 It is possible to play both Map versions of the game – OLD Version (Japan Version) and NEW Version (Overseas Version) as seen in previous releases. Deluxe cabinet mode looks the most interesting option as this simulated the moving deluxe cabinet. 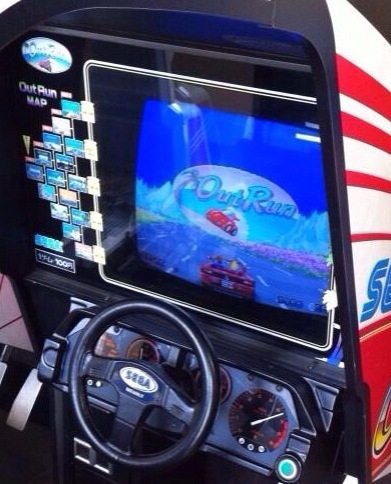 There are several nice OutRun cabinets out there like the rare Japanese Cockpit version , it would of been nice for M2 to share this option too. There will be two additional music tracks included in the 3DS version as well as Magical Sound Shower , Slash Wave , Passing Breeze and Last Wave. 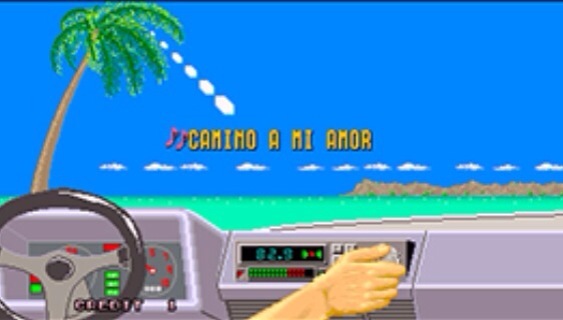 Cruising Line and Camino a Mi Amor. I’m yet to hear these additional tracks so I can’t comment on if they fit the original atmosphere of the game. Personally though I hold a huge amount of nostalgia to the original tracks by SST Band. The iconic OutRun Testarossa has gone and been replaced again. 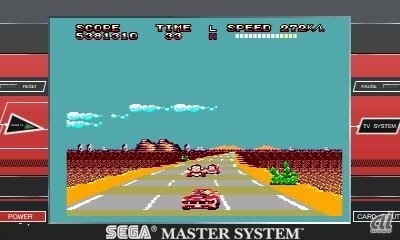 I’m not sure if the optional extras will be enough for OutRun purists to love the M2 3DS version…..only time will tell. 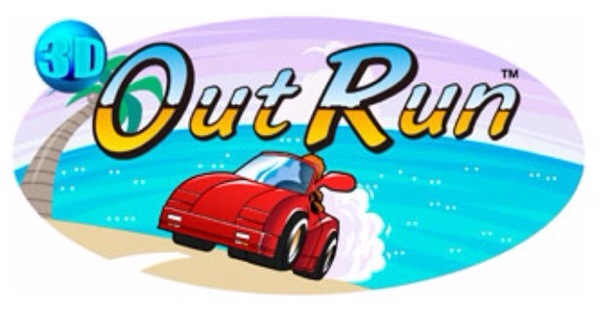 I will definitely be picking the game up as soon as it released outside of Japan, it will be great to see what the 3D Mode brings to the OutRun experience. Looking at previous release information this may come as late as December outside of Japan, let’s hope for an earlier release date. 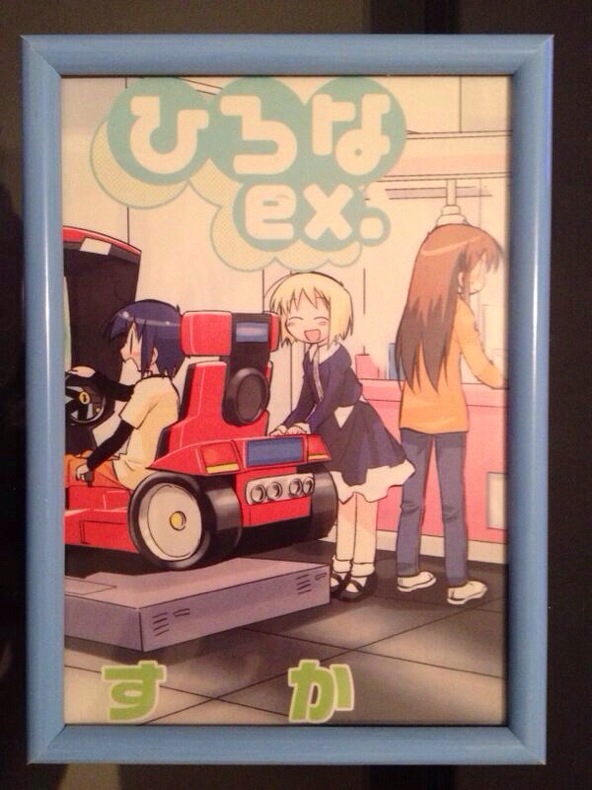 ひろなex or the translation Hirona ex is a Japanese comic that has seen several series. 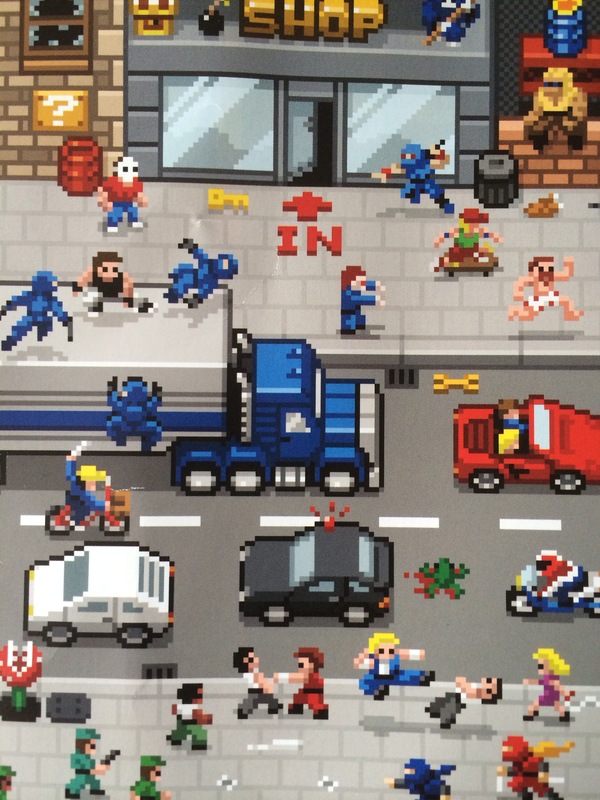 It features several retro video game references throughout the comic book. 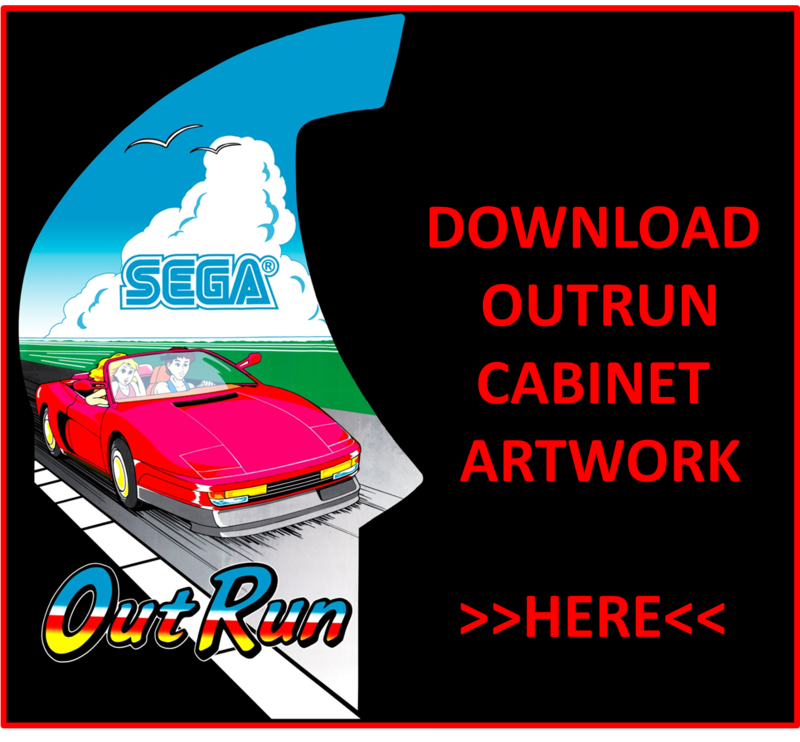 Enter your email address to follow OutRun 86 and receive notifications of new posts by email.